We deliver to every location in Australia. From Darwin to Hobart, Perth to Sydney, and all points in-between. Click on the map below, then zoom in to see satisfied customers close to you. Note: This NOT a map of dealers near you. 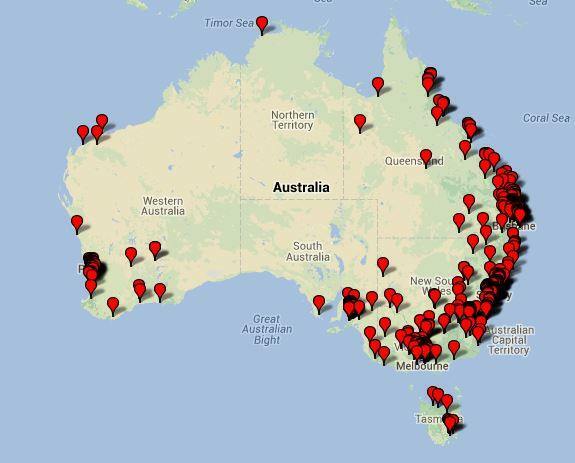 It is a map of customers near you. 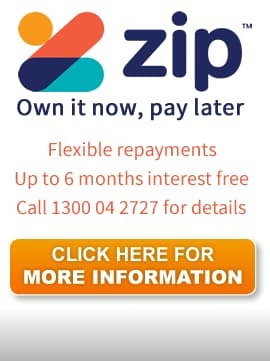 Please read the feedback from our delighted customers around Australia. How long does it take to send the goods? If payment is received before 2pm, then the goods are normally sent out on the same business day. If payment is received after 2pm, then the goods are usually sent out the next business day. Note: CPAP Machines need to be set up to your specific pressure requirements, based on your Doctor's prescription or existing equipment machine configuration. Usually, we cannot dispatch machines until we have this information. If you do not have a prescription, please contact us for advice. How do I know when you have sent the goods? You will receive an email from us advising that the order has been posted. How long does it take to receive the goods? It depends on your postcode and the type of product ordered, but typically it takes ONLY 1 business day for metro areas. All CPAP Machines are sent by Australia Post usually via Express Post. 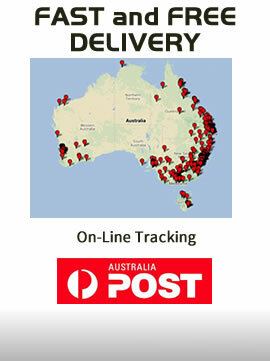 This includes on-line parcel tracking with guaranteed next business day delivery to most post codes around Australia. Most other areas take 2 business days and worst case up to 4 business days for remote areas including far north Queensland, WA and NT. All CPAP Masks, Hoses are usually sent using Australia Post's Express Service, which is a guaranteed next business day delivery to most post codes. You should receive regular automated tracking updates by email directly from Australia Post. Note: Items under $50 are usually sent via Australia Post standard (snail) mail. This includes chin straps, filters and most mask parts including headgear and clips. Delivery time could be up to 7 working days. What happens if my goods go missing or are damaged in transit? This rarely happens, but it could. For this reason, all orders automatically include shipping insurance. The shipping insurance amount varies depending on the value of goods ordered. You are welcome to remove this option. However, please understand that if you choose not to include shipping insurance, our liability and responsibility ends as soon as your order leaves our warehouse. Read more on why we recommend transit insurance here. Can I pick up my goods? Absolutely, but an appointment needs to be made in advance. Our business model is based on “Internet CPAP Sales”. 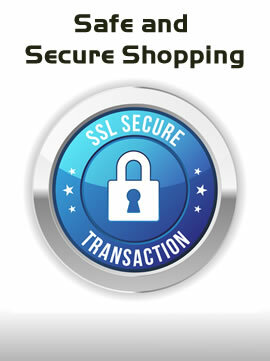 This means our prices and overheads are lower than traditional “bricks and mortar” shops. 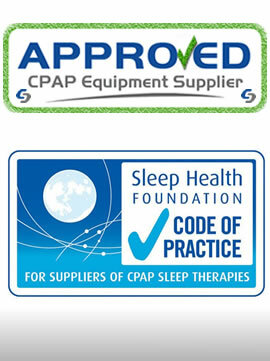 This enables us to work efficiently and offer the lowest priced CPAP products Australia wide, with very quick delivery. We recommend you send goods to us by Registered Post so we can track the item and sign for the goods.